Our Luxurious Bath and Shower Gel contains moisturizing Aloe Vera, Witch Hazel and flower extracts. Not only is it stable, it contains a Paraben-Free preservative. It is derived from whole coconut oil, DEA and MEA Free (these are hormone disrupting chemicals & may form cancer-causing agents) compared to many detergent based shower gels. To this formulation we add special essential oils, extracts and botanical's to give you and your customers the best possible product. You can use our gel with confidence! 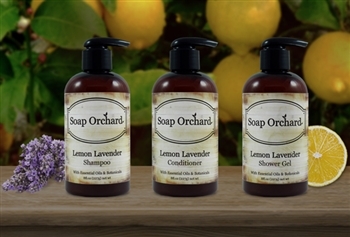 Get our Paraben Free Shower Gel, Shampoo & Conditioner for a special price when you purchase all three together. It's a smart buy!